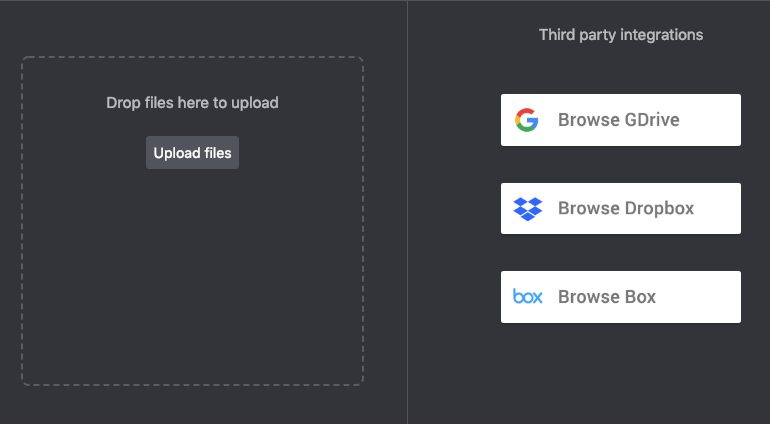 You can also drag and drop files from your computer folders to the drop area. Note: Make sure you possess the intellectual property rights of any media you upload for usage in your animation. Please read our Terms & Conditions for more information. The number of objects you can upload to your Personal Library depends on the storage space that’s available for your license. When you drag a sound object (uploaded or recorded) to the Stage, it does not visually appear on the Stage but only on the Timeline, where you can adjust its timing and apply animation effects. 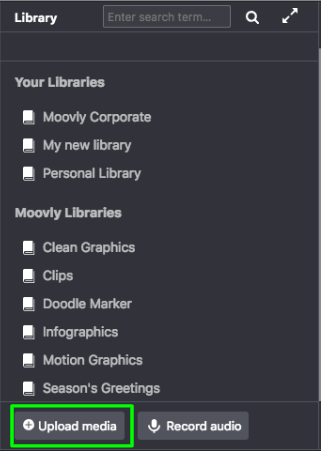 If you would like to use your mobile device (smartphone or tablet) to make and upload pictures, sounds or videos to use in Moovly, make sure to use the free Moovly app! With this app, you can immediately sync your mobile device with your Personal Library. More information is available here.